The tiara, which belongs to the Swedish royal family, is generally called the "Napoleonic Cut-Steel Tiara." As the name suggests, this is a tiara with links to the court of Napoleon Bonaparte. But this sparkler didn’t belong to Empress Joséphine or Empress Marie Louise; instead, it’s said to have been made for Joséphine's daughter, Hortense de Beauharnais. 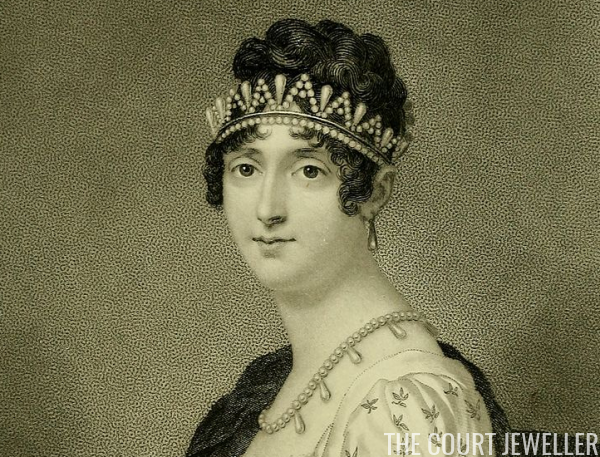 Hortense de Beauharnais's steel tiara is something of a marvel. There are no gemstones used anywhere in its construction — no diamonds, no pearls, nada. Instead, it is made of steel that has been strategically cut, polished, and set in gold. But when this piece catches the light, the oak leaf, acorn, floral, and feather elements of the piece glitter almost as if they were inlaid with diamonds. (Even its storage box is unusual!) The piece also has coordinating earrings and a choker necklace. Hortense had no daughters, and it’s generally believed that she gave her steel jewelry to her niece, Joséphine of Leuchtenberg. 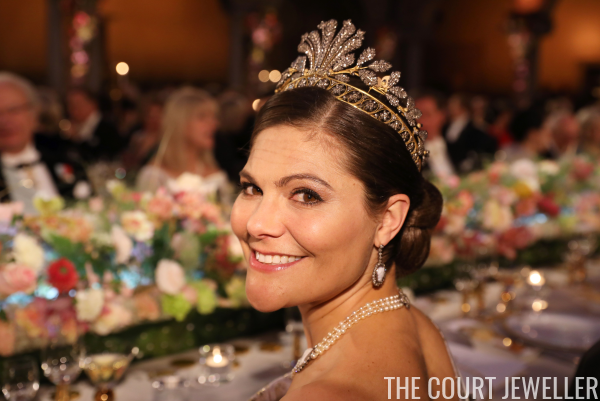 (Joséphine had a truly, truly impressive tiara collection -- hands up if you'd like a post just on her collection one of these days?) When Joséphine married the future King Oscar I of Sweden in 1823, the steel sparkler apparently traveled with her to her new home in Stockholm. And then, the tiara apparently disappeared for more than a century. The story goes like this: in 1976, the Swedes had a new queen, Silvia, who was very interested in the family’s historical jewel collection. One day, while poking about in the cabinets at the palace, she found a velvet box; inside was this tiara, forgotten and neglected for years. She had it restored and wore it, along with the earrings and choker, for the first time at a state visit in 1979. 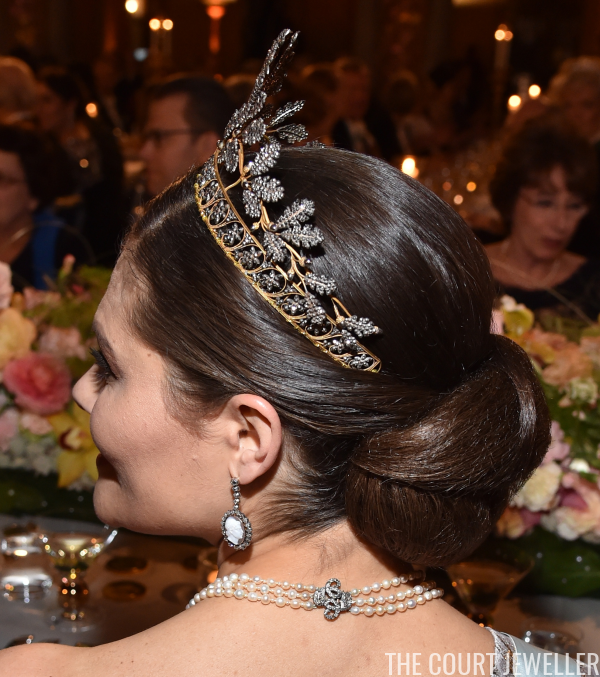 Since Silvia’s rediscovery of this unique sparkler, it has appeared on many of the royal women, including several of the king’s sisters and the late Princess Lilian. 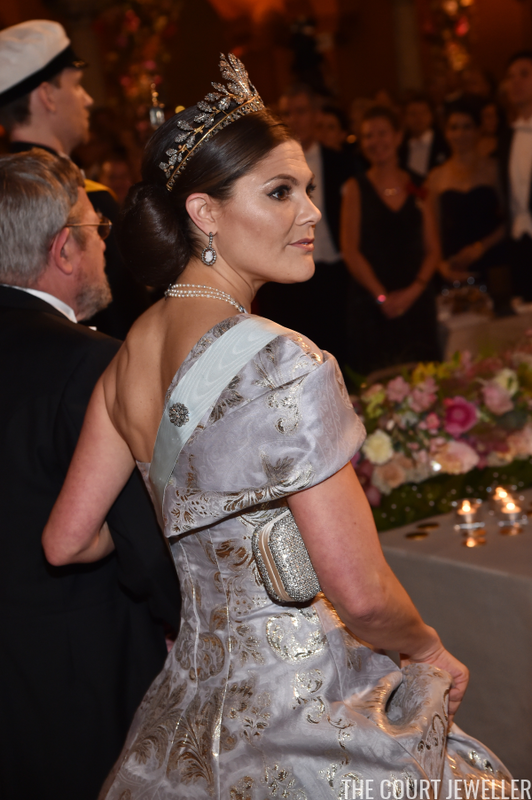 Today, Crown Princess Victoria is the one who wears this tiara most often, though her aunt, Princess Désirée, also wore the tiara at the weddings of both Prince Carl Philip and Princess Madeleine. 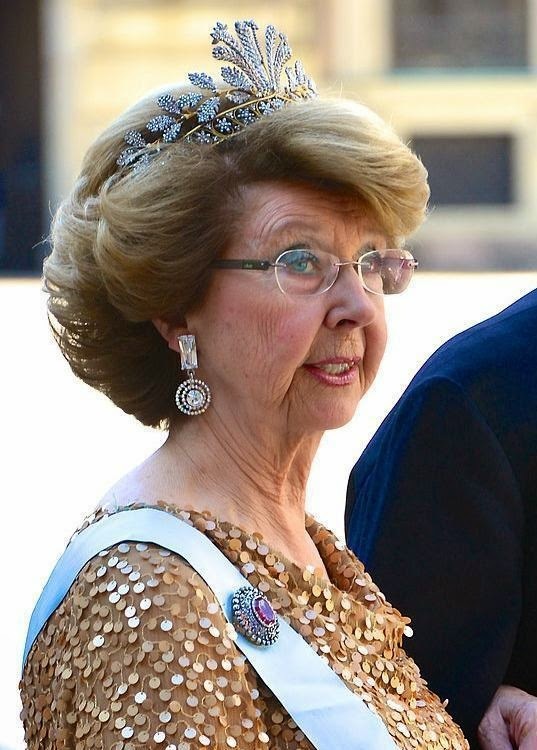 Victoria is apparently a big fan of steel tiaras; at the wedding of Hereditary Grand Duke Guillaume of Luxembourg in 2012, Victoria debuted a second, smaller steel tiara. 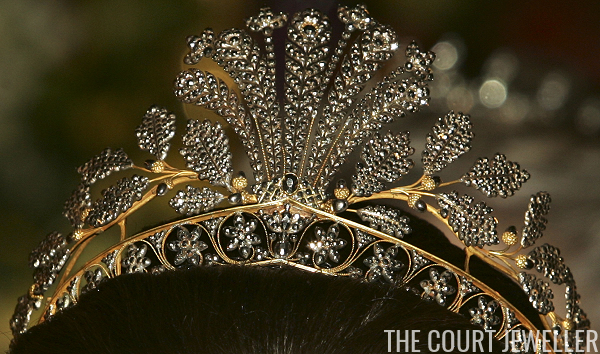 This smaller tiara was apparently also among Queen Hortense’s collection of steel jewels. 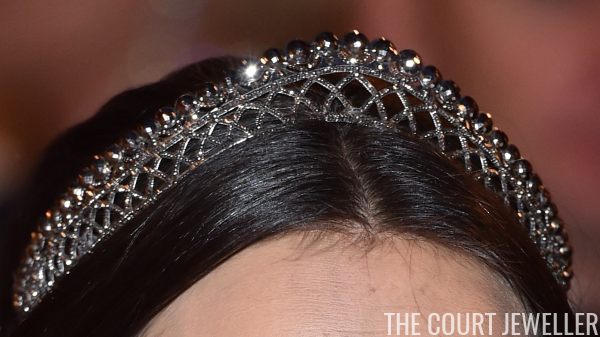 We got an excellent look at this smaller steel tiara when Princess Sofia wore it at the 2016 Nobels. At the 2016 Nobels, Victoria wore the larger Cut-Steel Tiara, pairing it with jewels from another Napoleonic-era set, the Cameo Parure. I just love that the Swedes can “introduce” their hidden heirlooms to the public. Here’s hoping there are even more tiaras languishing in their palaces, just waiting to be discovered and donned by intrepid princesses!